The highly exerienced Fijian Joeli Lutumailagi has carved a place in sevens lore allready, due to his explosive and high scoring exploits on the sevens circuit. 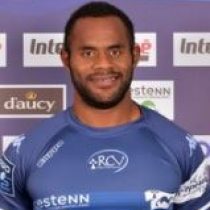 The former Nadroga centre began his career in 2009, before earning a two year deal with French side Narbonne in 2012. This stay was cut short by a serious neck injury however, which sidelined him for 9 months. Returning to sevens in 2014, Lutumailagi is back to his best, and will be a sevens star for years to come.